Former ‘N Sync singer Lance Bass was forced to say ‘bye, bye, bye’ to his dream of owning the iconic Brady Bunch house — and he’s now accusing real estate brokerage Douglas Elliman of using his widely recognized name to drive up the cost of the property. 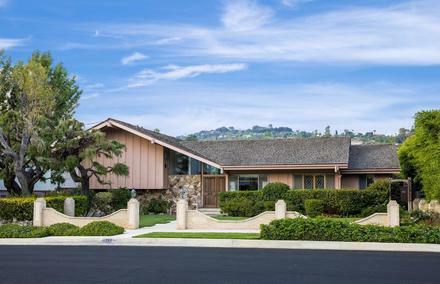 Last month, the house featured in the opening and closing scene of the iconic 1970s show The Brady Bunch, hit the market for $1.885 million. As reported by Variety, the nearly 2,500-square-foot property in Studio City, California, has been fielding offers from both big-name developers lusting after the land and wealthy fans who want to keep the house intact. The ranch house has three bedrooms, retains its original 1970s decor and, according to real estate company Douglas Elliman, is the second most photographed home in the U.S. after the White House. As it turns out, Bass has been a longtime fan of the show — and, on Friday, the former boy band singer tweeted that his offer for the property had been accepted. Bass then went on to claim that he wanted to make a higher offer to secure the house but was discouraged from doing so by the seller’s agent. A Douglas Elliman spokesperson told Inman that the house ultimately went to the most qualified buyer. Airing from 1969 to 1974, The Brady Bunch reached cult status as one of the earliest American sitcoms about a blended family. The house, which was built in 1959 and stands on a large 12,500-square-foot lot, became an iconic symbol of the show — the outside was featured at the start and end of every episode while the inside was used for scenes filmed before a studio audience. The architectural style, which was meant to represent a typical single-family home in the 1970s, is one of the last properties of its type to remain in the affluent part of Hollywood.